Here’s another ancient piece of code of mine, from around the turn of the century. This was version 2 of a previous Reversi (Othello) game I had built in Turbo Pascal a year or two earlier. The old one was a two-players game. In this one you could play against the computer. 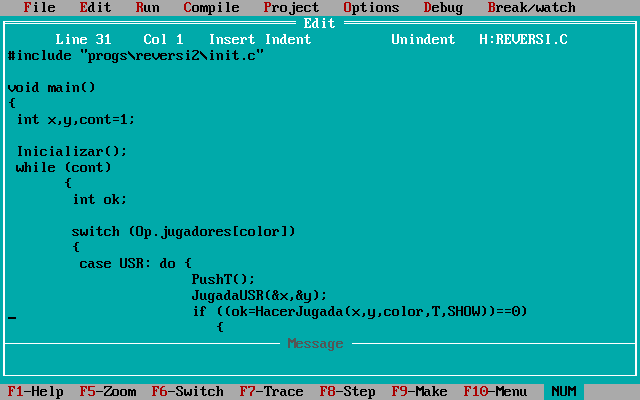 I wrote the code in Turbo C on my 16 Mhz 386 with 1.8 MB of RAM. This was one of my largest projects in that PC. At some point I got tired of waiting minutes for it to compile.